Fast pages are not only good for your users, but they make Google happy—and don’t we all want to be on Google’s good side? In March 2010, Google started rewarding fast pages by making speed a ranking factor, so pages that load faster can appear a little higher in the search results than their slower competitors. Even if Google wasn’t using speed as a ranking factor and no other search engines ever will, you may still get a bit of a boost in search engine placement if you replace images of text or Flash files of text with real text styled with CSS3. While search engines can read text in images’ alt attributes and some Flash files, regular text in heading tags is usually going to be given more weight by the search engines. An even bigger benefit of real text instead of images of text is that real text is more usable for everyone, and particularly for people with disabilities. Real text can be resized or recolored by users to make it easier to read, selected to copy and paste, searched for with the browser’s Find function, indexed by search engines and other tools, and translated into other languages. That said, CSS3 isn’t a magic bullet for readability; as with any CSS or design technique, it can be abused, and can harm legibility instead of aiding it. But when used wisely, using @font-face, text-shadow, transforms, and other CSS3 effects on real text instead of resorting to images for these effects can make your pages more usable. Another way to improve usability with CSS3 is to use media queries. we already mentioned how media queries let you customize styles based on the characteristics of the user’s display, allowing you to tailor styles to the user’s device and settings. This technique can ensure your design is making the best use of space and is as readable as possible for the user’s browsing scenario. There’s one other benefit to learning and using CSS3 that is exclusive to you: it keeps you at the top of the web designer pile. CSS3 is not going away. This is how we’re all going to be building sites in the future. 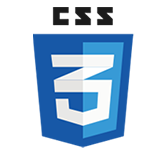 Knowing CSS3 is an increasingly important and marketable career skill. Right now, it’s something that sets you apart as a topnotch designer or developer. Sooner than later, it will be something that’s expected of you. Start using it now, at least on personal projects, and keep moving your skills and career forward.